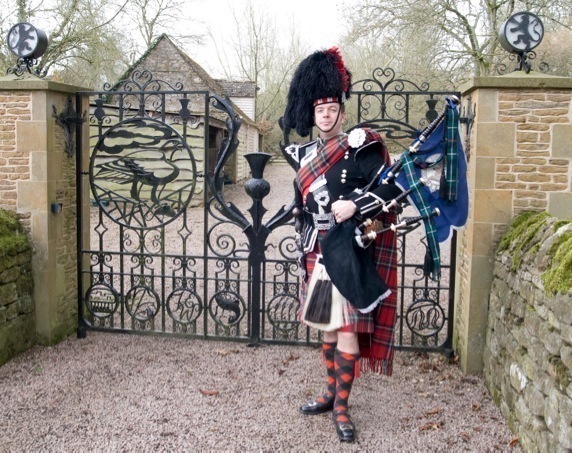 Down through the centuries, a Bagpiper has been seen and heard performing at many celebrations and gatherings. 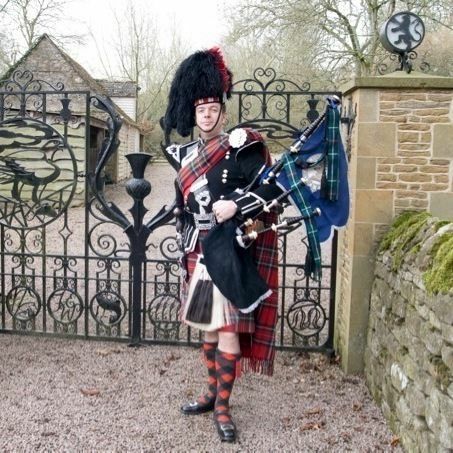 A Piper in Full Highland Dress will add a touch of originality, tradition and colour to that most important day of your life, your wedding day. A wake up call for Bride and Groom. Playing as guests arrive at the Ceremony. Signal arrival of the Bride. Play as newlyweds exit the Ceremony. Play background music during photographs. Play for the couples arrival at the reception venue. Formally lead the happy couple to join their guests at the wedding breakfast. ...........to a foot tapping selection of tunes at the evening reception party. From these suggestions, a highly personalized service can be tailored to your wedding arrangements.